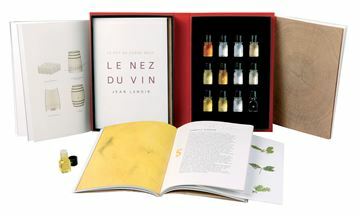 The reference work by Jean Lenoir for training your sense of smell. Set in a sophisticated red case, 54 superb quality aromas come to life in your scent memory for you to recognize in fine wines. 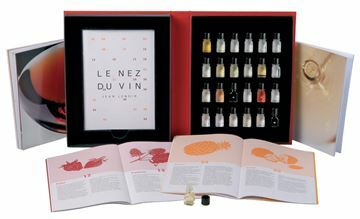 24 essential aromas found in red wines and white (including champagnes) selected from the 54-aroma Masterkit. Three booklets are included. The first one deals with smell and taste. 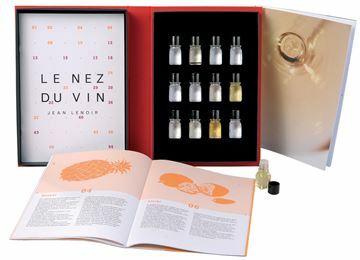 Focus on the 12 basic aromas found in white wine and champagne, selected from the 54-aroma Masterkit. 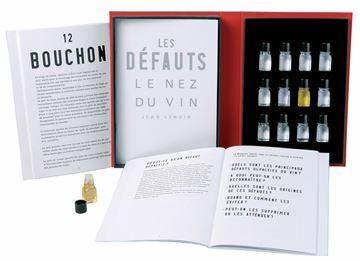 Focus on the 12 basic aromas in red wine, selected from the 54-aroma Masterkit. 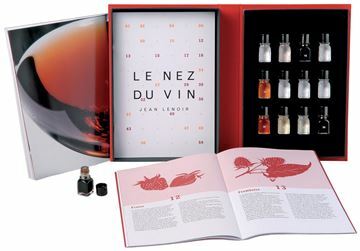 An informative booklet on the sense of smell and wine-tasting. 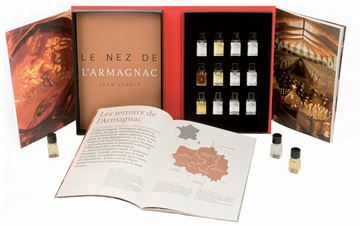 Hone your senses to the secrets of Armagnac: from the subtle aroma of linden characteristic of brandy flowing from the still to the aromatic palette provided by long aging in wood. Discover six aromas that are to be found in a wide range of wines. 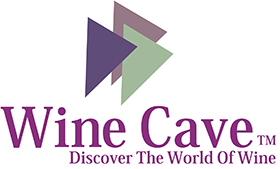 To fix them in your mind is to give yourself the chance to recognise them when you find them in wines. Give someone a bouquet of rosés and the chance to discover why their extraordinary range of aromas have conquered so many hearts and taste buds. 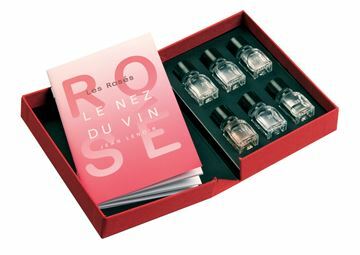 An original, high-quality gift to go with a bottle of … rosé wine!